Several years ago there was a site that was very useful for translators: Phras.in. It allowed you to enter two different search strings, and see how many hits each returned, and what context they had. After a while, the site disappeared. It has recently resurfaced, apparently with the same graphics and interface, but it is not its former self: it is some Chinese zombie site. If you attempt to use it, it does not return any hits, and only display random text. I hope it did not infect my computer with some malware. I would advise against trying to visit it again. I've just received an e-mail advertising the Fluency CAT tool. I tried out Fluency (and paid for a couple of licenses) a few years ago and was underwhelmed, to say the least. At that point, the program was simple and easy to use, but very buggy--all the (few) projects for which I used it run into problems. All issues were quickly solved by Fluency's support, true, but there were enough problems at that time to make me decide that Fluency was not helping me, and that the program was, in fact, slowing me down. The tool might, in the meantime, have improved greatly, but, just like many other CAT tool vendors, I see that Fluency engages in deceptive advertising: prominently displayed in their ad is a testimonial in which a satisfied translator claims that "Fluency has enabled me to double my translation speed". I have no reason to doubt that the statement is accurate, but, the same time, I suspect it most probably is misleading: when I hear from CAT tool vendors that their particular tool doubles translation speed, they are very careful not to say what this improved productivity is measured against. A CAT tool doubling a translator's speed if that translator didn't use CAT tools before? Yes, probably, even likely. But if that doubling of speed had been achieved when compared to the use of another CAT tool Fluency would be quick to say so. Since they don't, it's fair to assume that they are comparing apples to oranges, and that the claimed speed increase would in fact be achieved by using any other decent CAT tool. 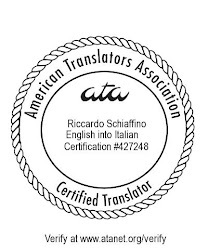 To be clear--most professional translators by now use CAT tools, hence, any productivity increased claimed by CAT tool venderos should be measured against other CAT tools, not against not using CAT tools at all.